During the last few months, the high Love-Light frequencies flowing to, into and around the Earth have been stepping up every week, with several especially ‘open peak flow moments’, followed by small windows of assimilation ~ into the Earth’s crystalline heart grid, nodes and flow-line/ley line network, into the human heart consciousness collective energy field, into the beloved animals and plant realms, into all life both physical and more subtle. All of this in-flow is embraced by, and nourishing, the fifth dimensional grids and templates of unconditional Love and Unity within the planet and all life here. And all of this embracement is supported, stabilized and held firm by the sixth dimensional lattice of liquid golden light surrounding it, and higher. Layer upon layer of support, strengthening and deep imprinting of the Love-Light flowing from the Heart of Source to create, support and expand Life continuously. The more the 5-6D layers activate and strengthen around and in the Earth, loving compassion for self and all is guiding us to stay in the highest overview both personally and collectively, and continuously prioritize keeping our thoughts, emotions and energy fields as clear as possible. ‘Sweet surrender’ of the little self’s attachments, habitual reactions and beliefs, heeding the loving call of our Higher Self/Inner Divine to flow freely and in total trust with the Will of Source, Divine Love ~ the deepest freedom of all ~ is profoundly beautiful, simple and highly supported by beings of high Love in many dimensions. Breathing out the old self and breathing in the new, embracing the whole of the higher in-flow into our BEing, is an unconditional gift to ourselves, to all beings, all life everywhere. While tuning in with the 6D golden harmonic light lattice in place around the Earth, providing stabilization for the 5D ‘new’ to bed in ever more deeply, the sky here gave some magnificent symbolism on May 12th, 2017, which we’d like to share now. The air was thick with smoke over Perth; I called star family and the sylphs (air elementals) for assistance with clearing and neutralizing toxins, and this imagery appeared, firstly with a rectangular ship flashing very bright for a moment from behind a cloud, while smoke rolled over the top of the clouds like a gigantic wave. The smokiness within the wave above the ‘golden light structures’ also resonates as a beautiful metaphor for the etheric layer within and around our physical bodies, and around the physical body of the Earth/Gaia. The etheric body is an energy field nested within other higher vibrational subtle body fields, which hugs close around the physical body and permeates it, containing the energetic blueprint of our corporeal form, from which all our physical structures are patterned and ‘condensed’ into the third dimensional form. When strong and vibrant, the etheric body glows blue, and to clairvoyants, can be seen as a blue rim all around the physical form. If the etheric body is depleted or damaged, it appears more thin, grey or dim…and if it has become permeable to, and is carrying, low vibrational energies, can appear dense and smoky. The etheric body acts as an interface between the third dimension and higher dimensions, so if it has become energetically clogged and fragile, its ability to hold the in-flow of higher Love-Light is reduced. Just as the 6D harmonic fluid light lattice acts as an ‘energetic holding geometry’ or holding pattern for the 5D crystalline light creations, the 4D etheric body – through its precise blueprint reflected into 3D physicality – provides an energetic holding geometry specific to our physical bodies. An etheric body in a clear, vibrant state naturally pools the higher light as the ongoing Ascension Wave rolls in, just as the Earth’s etheric layer is pooling that light and rippling it through to the denser physical level wherever it can be received. The high light moving through the etheric utilizes the blueprint to re-organize energies and patterns within DNA/RNA, molecules and cells, as the divine Love-Light flows through the etheric interface into the physical body. The visualization below was given a few years ago by Archangel Gabriel to strengthen and harmonize our personal energy field and purify it of lower vibrations. 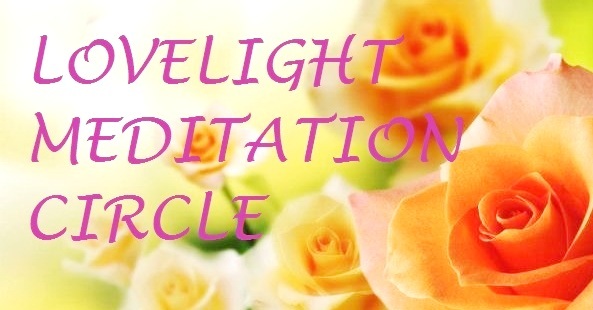 His guidance with this practice now focuses on maintaining the etheric body – in confluence with the physical body – within its clearest state to receive, hold and conduct the highest available Light as it continues to build around us. Sit comfortably and relax your body, while taking in a few deep breaths. Start with seeing yourself in the centre of a pillar of white light that runs from the centre of Source to Gaia’s heart centre (below your feet/ centre of the Earth). Bring your focus into your Heart Centre and ‘fold’ the white light around your body, letting it soak into every pore and cell, filling your body with its pure radiance. You can also visualize a pure white lily in your heart if you wish. Extend this white light a few inches around your whole form so that your etheric body is completely enveloped in white light. Visualize your etheric body, and the blueprint within it, and hold the expanded white light until your etheric body glows luminous white, then bring in soft, clear aqua blue light (AA Gabriel is saying ‘aqua’ specifically here, the soothing fluidity of pure water). Hold this visualization for as long as comfortable, breathing deeply and slowly. ‘Crown breathing’ (imagine inhaling through the top of your head into your body like a dolphin or whale) can deepen this exercise. Aqua light merges the white light into the ‘body energy pattern’ held in the etheric body, and aligns it to the incoming Ascension energies, helping the etheric body gracefully adjust its vibrational ‘grid’ to incorporate the rising frequencies. This in turn facilitates the physical body’s DNA/RNA in uptaking the 12-strand Light stream smoothly and fully. With love & gratitude to Archangel Gabriel. Within a pillar of white light from the Heart of Source to the Heart of Gaia, as a pure, steady, open conduit, vessel and anchor on Earth for the highest Love, Light, Grace and Providence, I invite the wave of ascension and restoration to fill my whole Being now. Any dense energies in my etheric layer are now lovingly transformed into the highest light. My etheric layer is completely healed and whole, vibrant and strong, effortlessly pooling the ascension wave, radiating it continuously into my physical body, into every cell, strand and atom, assisting and completing the transition to crystalline light-body. With deepest love and gratitude, this gift is received, in Oneness and harmony with Gaia and all Life. And So Be It. PS: If you enjoy working with flower visualizations, hold a White Lily in your heart centre, see and feel it radiating pure light through your Being, and imagine this Lily sending out a peaceful, steady sound…the Divine Tone from the Heart of Source, singing softly in your own heart centre, resonating through your body and whole energy field, unifying and uplifting its vibration, and rippling this Tone to all creation with(in) your joyful devotion to Love. You are One with All. We are One. * If you’re new to Heart Star or haven’t used them before, we recommend becoming familiar with the Sun-Star and Golden Apple Practices, before using other meditation/visualization practices.